“Innovator’s Dilemma”: are the banks capable of making innovations by themselves? The theory of disruptive innovation was invented by Clayton Christensen (the most influential business thinker in the world, according to Thinkers50), of Harvard Business School, in his book “The Innovator’s Dilemma”. Mr Christensen used the term to describe innovations that create new markets by discovering new categories of customers. They do this partly by harnessing new technologies but also by developing new business models and exploiting old technologies in new ways. He contrasted “disruptive innovation” with “sustaining innovation”, which simply improves existing products. Personal computers, for example, were disruptive innovations because they created a new mass market for computers; previously, expensive mainframe computers had been sold only to big companies and research universities. The “innovator’s dilemma” is the difficult choice an established company faces when it has to choose between holding onto an existing market by doing the same thing a bit better, or capturing new markets by embracing new technologies and adopting new business models. Netflix took a more radical move, switching away from its old business model (sending out rental DVDs by post) to a new one (streaming on-demand video to its customers). Disruptive innovations usually find their first customers at the bottom of the market: as unproved, often unpolished, products, they cannot command a high price. Incumbents are often complacent, slow to recognise the threat that their inferior competitors pose. But as successive refinements improve them to the point that they start to steal customers, they may end up reshaping entire industries: classified ads (Craigslist), long distance calls (Skype), record stores (iTunes), research libraries (Google), local stores (eBay), taxis (Uber) and newspapers (Twitter). Google promises to reinvent cars as autonomous vehicles; Amazon promises to reinvent shopping (again) using drones; 3D printing could disrupt manufacturing. But perhaps the most surprising disruptive innovations will come from bottom-of-the-pyramid entrepreneurs who are inventing new ways of delivering financial services for a fraction of the cost of current market leaders. According to Christensen, “When big companies fail, it’s often not because they do something wrong but because they do everything right. Successful businesses are trained to focus on what he calls sustaining innovations – innovations at the profitable, high end of the market, making things incrementally bigger, more powerful, and more efficient. The problem is that this leaves companies vulnerable to the disruptive innovations that emerge in the murky, low-margin bottom of the market. And this is where the true revolutions occur, creating new markets and wreaking havoc within industries”. A study made by Christensen shows that big and successful corporations are not capable of breakthrough innovations. Their internal processes are built the way that they always chose a more predictable course of events losing sight of the future at the same time. The only possible solution for a big corporation is to detach an entire team or even a company that will be responsible for working on “disruptive” innovations. They get a separate office and unusual titles, they are not obliged to keep any dress-codes or working hours, they don’t have to defend their budgets or KPIs based on typical corporative standards. Steve Jobs provided the exact same conditions for Jony Ive after heading Apple for the second time. These people should have an entrepreneur’s spirit – even when they are hired managers. This way the company artificially creates their own startup – they must feel like this company belongs to them and they work for themselves. Due to my work I meet a lot of bankers from around the globe and see their attitude to fintech startups: some don’t bother at all, some laugh, some even play with them as if they are some trendy toys (running hackathons and fake accelerators), some say they would realise better services using their current employees and technologies… Two banks that staggered me the most (that have also succeeded in fintech) are BBVA (thanks to Jay Reinemann, with whom we made a number of interesting deals) and Goldman Sachs (thanks to Alokik Advani, Terence Lim and Andy Tai for their long-term vision). 1. Investing early on for insights, not profits – BBVA Ventures, which was started in 2011, has been making relatively small investments in start-ups, allowing the bank to gain access to the companies’ founders and early insights into how their technologies are playing out. The small office on the edge of the financial district in San Francisco serves as a kind of listening post for a giant Spanish bank. “Investing is the first step in a working relationship,” Mr. Reinemann said. 2. Bank executives say they are most interested in forming partnerships (not competition, buying, white-labeling or doing by themselves) with the start-ups by making investments of as little as $500,000, rather than focusing entirely on scoring huge profits like a traditional venture capital fund. “We want to be backing the best entrepreneurs,” said Jay Reinemann, the head of BBVA Ventures, “the ones that will have the best success at disrupting the industry.” Herein lies the central paradox for big banks pushing into Silicon Valley. Some banks want to borrow ideas from the start-ups – or even buy their technologies outright. 3. Learn from startups instead of teaching them. Startups that are having the most success at disrupting the industry’s profitable business lines may not be easily persuaded about the merits of teaming up with an established bank. For one thing, the culture of big, lumbering banks is antithetical to nimble startups. And at the moment, start-ups have their pick of venture capital investors. “These little companies really don’t want to be a bank,” Mr. Reinemann from BBVA said. Goldman’s aim isn’t just to invest in tech companies but also to learn from them and even emulate them. The firm and its clients – big corporations, private-wealth customers, asset managers – are struggling to navigate the new markets technology is creating. Banking and finance, in particular, expect to be hit with big upheavals. Startups such as peer-to-peer banker LendingClub and Wealthfront, a financial advisory platform, are aiming to pick off just about every part of the industry. We “try to disrupt ourselves,” Blankfein from Goldman Sachs said. 4. Big banks corporative culture may kill startups if those would be placed in the corporative environment of corporations. If Simple (Life.SREDA VC was one of the investors) is swallowed up in BBVA’s bureaucracy, not only does it risk losing its loyal customers, it may also lose the engineers and programmers who went to work at the start-up precisely because it was different from a traditional bank. Those technology experts have been vital to Simple’s success. BBVA executives say Simple will preserve its independence by maintaining its own board (although BBVA will have a majority of the seats). The expectation is that Simple accounts will be transferred to BBVA Compass, from its current partner bank, Bancorp. The real test for a branchless bank like Simple is whether customers will feel comfortable conducting complex transactions like mortgages entirely online. Larger banks say that the majority of customers still insist on doing much of their banking in the branches. But BBVA is not convinced. 6. Learn from your own mistakes: banks are loosing trust and startups may help them bring it back. In a March investment note, Goldman said that old-guard financial firms, like itself, are in danger of losing $4.7 trillion to new financial technology startups, and suggested partnerships and acquisitions were an important way for such companies to gain a foothold. That’s something of a departure from its earlier, more broad-based tech investment strategy, which includes rounds in newly-minted tech stars including Uber, whose value just topped $50 billion, as well as Dropbox and Spotify. There’s perhaps no bank more controversial than the investment firm Goldman Sachs, for its role in the financial crisis of 2008. So there’s probably some small irony in Goldman’s latest area of focus: financial startups. Over the past few years, Goldman has invested hundreds of millions of dollars in far-flung assortment of payments and alternative finance companies including Square, Bluefin Payments, Bill Trust, Revolution Money, as well as newly public OnDeck Capital. It’s also ventured into digital money, including the bitcoin startup Circle. 7. 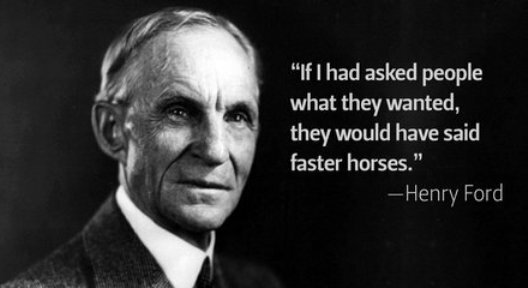 Make “disruptive innovations”, instead of “sustaining innovations” – internal hackathons and fake accelerators create solid PR, but they don’t give rise to new entrepreneurs and unicorns. 8. If you have money – you have to invest in new ideas and blood. Goldman Sachs, arguably the most powerful bank in the world, quietly, without fanfare, is making a play to become one of the most influential investors in technology startups. According to research firm CB Insights, the Wall Street bank has participated in 132 fund-raising rounds in private technology companies since 2009, with 77 of those deals made in the past 2.5 years alone. Its activities rival those of the top venture capital firms in Silicon Valley. Goldman has backed Uber Technologies, Pinterest, Dropbox, and 12 other so-called unicorns, that once-rare breed of startup valued at $1 billion or more. Goldman’s reach is truly global: It’s in startups ranging from an online pet store in China to a food delivery site headquartered in Germany, to a Korean app developer. 10. Banks must stay banks (and let startups do their job) – they are good ay this. Goldman’s approach to startup finance is complex and expansive, much like Goldman itself. Deals can originate with investment bankers; the securities division, which can make strategic investments; or private banking. While some groups invest client money, others use the firm’s own, and still others provide traditional investment banking services. Goldman’s first deal with Uber, in 2011, was an equity bet; its second, in January, was debt. Goldman needs to learn from them – to understand how they work, how they think, and how they plan to dismantle just about every industry Goldman makes money in, including its own. 12. Open the world with your startups. Many entrepreneurs say that Goldman’s biggest draw is its access to the international capital markets. Startups today must move faster into global markets than ever before. Founders used to be able to wait to think about international expansion; today, they have to think globally from the outset, partly because locals will quickly copy the best ideas. (An outfit called Rocket Internet has incubated Zappos, EBay, and Square clones in Europe, for example.) From Day One, “you have to think, ‘How do I get big enough so I can compete on a global scale and knock off all these competitors who pop up?’” says Alfred Lin, a partner at Sequoia Capital who was chief operating officer at Zappos. Goldman has a network of clients around the globe who can help unseasoned entrepreneurs find their footing in new markets. Its wealth-management clients and corporate customers are some of the most influential business leaders in the world. They can broker introductions, explain regulations, and be a local booster in tough markets such as China and India. When Travis Kalanick, CEO of Uber, was getting ready to expand into new markets, he brought Goldman in as an investor. P.S. Asian giants do the same (but not banks). Alibaba and its two giant Chinese Internet rivals–search engine Baidu and gaming/messaging firm Tencent–a trio known as BAT, are pouring money into all manner of firms at every stage from seed to late rounds. Since 2012 we count more than 50 investments totaling $2.3 billion. In the past 18 months alone Alibaba has plowed more than $1 billion into just ten U.S. firms. The three BAT companies each monopolize a sphere of China’s desktop-style online behavior, but they risk falling behind in mobile. This is a problem in a country where tens of millions of people skip PCs entirely. Hence the landgrab – the Big Three don’t much care where the innovations on this new intertwined platform come from or, it seems, how much they have to shell out to secure them. Many of the investments are bizarre on the surface, smacking of dumb money rushing in late in the cycle and driving up valuations for everyone. Why would an e-commerce giant spend tens of millions of dollars on a startup like Peel that’s outside of its core business, not to mention its core country? In a word: smartphones.